When you’re in need of engine repair in Tarrant County, give us a call! Tarrant County records a large number of motor vehicle transactions each month. In fact, in all of Texas, Tarrant County comes in third in the number of motor vehicle transactions. That’s an impressive statistic. When you think about it, each transaction represents a vehicle with an engine – one which could, eventually, need repair. We know your vehicle is important to you, both in your line of work and your family. 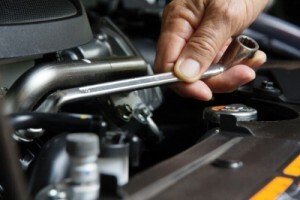 Proper maintenance is a way to help extend the life of your car or truck. This will help protect and prevent its engine from needing any extra repair. In the unfortunate situation that your vehicle is needing engine repair, just what signs should you look for to indicate that it’s time to bring it into the shop? When that time comes and you’re faced with the challenge of needing engine repair for your car or truck, who would you recommend in Tarrant County? We hope you can confidently say you would choose B&M Auto Specialists. We can both service and repair your engine. With our ASE certified mechanics and 5 service bays, we will repair your engine while respecting your budget. Want a little extra security? Ask us about our 24 month/24,000 miles parts and labor warranty. Do you have any questions about engine repair? Or would you like to book your appointment? Contact us today. We’re here to serve you!